I'm the kind of person who uses both Google and Apple products. All of my calendar data is saved to a few different Google calendars, but I generally use Apple's Calendar on my Mac and iPhone. 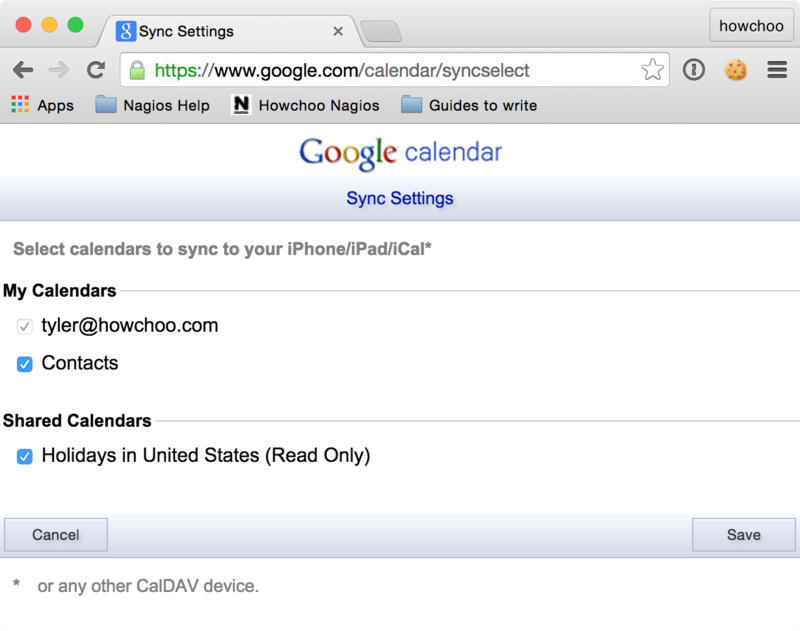 Syncing is fairly simple, but it took my quite some time to figure out how to select which calendars to sync. What I mean by that is each Google Calendar has multiple sub-calendars that seem to get included in the sync process even when they are deselected from the Google Calendar interface. This resulted in duplicate calendar events like Birthdays and Holidays. Fortunately, I found a solution hidden deep in the Google Calendar docs. Make sure you're logged in to the Google account you want to manage. Now you can enjoy a more organized calendar! Downloading a Google Spreadsheet as a .csv file is easy.